Following a flurry of reports over the weekend about the government's plans for winning over intransigent ERG Tories and the 10 members of the DUP - the Irish unionist party that props up Prime Minister Theresa May's government - May has reportedly settled on a plan for Tuesday's indicative votes on a series of amendments to her Brexit deal, and has also set a date for the next meaningful vote on her Brexit plan. According to a series of tweets about the meeting, May has committed to whipping up votes for an amendment proposed by Graham Brady, the leader of the Tories 1922 Committee of backbenchers, that calls for replacing the Irish backstop with an 'alternative arrangement'. That essentially confirms reports that May had dispatched her chief Whip Julian Smith to quietly whip up support for the Brady amendment, which May believes would be more palatable to the EU27. Still, according to the most recent reports, the party's current position is that they are "not yet decided" on the Brady amendment. Meanwhile, ERG leader Jacob Rees-Mogg has said he will not support the amendment, according to the Telegraph. Rees-Mogg said he's concerned that the amendment wouldn't remove the backstop. To be sure, without support from the ERG and DUP, the likelihood that Commons Speaker John Bercow calls the amendment for a vote is far from certain. And even if he does call it, it would likely fail. However, some are betting that May doesn't need a majority to convince the EU to come back to the table. At any rate, looking past the indicative votes set to take place on Tuesday, May has called for the motion to hold the next 'meaningful vote' on her 'Plan B' Brexit Deal (which, as we have noted, is for all practical purposes, unchanged from her original deal) will be called on Feb. 13. The actual vote is expected Feb. 14, following nearly two full days of debate (cue the annoying Valentine's Day puns). Some MPs have been put off by May's refusal to affix her name to the Brady amendment and make it a 'government amendment' (but then again, given MPs refusal to support anything remotely associated with May's government, this could prove to be a savvy move). But the stakes are high. 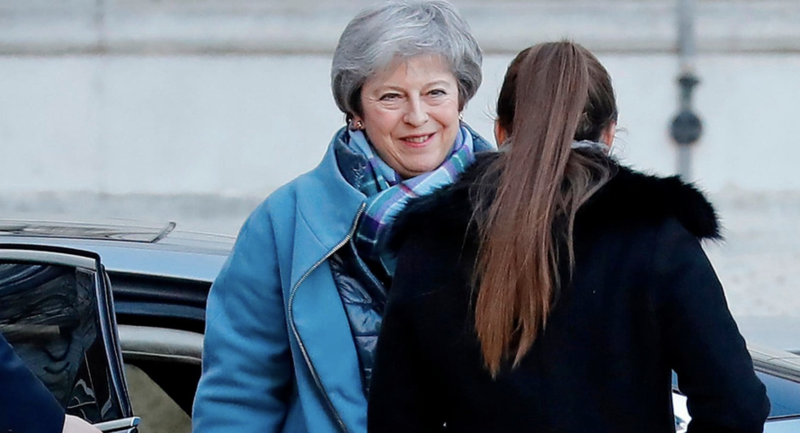 With Brexit Day two months off, and May opposing amendments to delay it (to be sure, even if the political will existed, she would still need to seek approval from the EU27), this could be the prime minister's last opportunity to push through a deal. But that doesn't mean she will simply sit back and accept 'no deal' (something that would be political suicide, particularly after her government's incessant fearmongering about the chaos that a 'no deal' Brexit might unleash). According to a Sun report from Sunday night, May has been privately discussing plans with her top cabinet ministers to "rule out" no deal. At May's behest, several Tories, including Andrew Murrison and John Baron, have withdrawn competing amendments pertaining to the backstop. Still, there are more than a dozen other amendments proposed by MPs of all parties that could be called for a vote on Tuesday. Of course, we feel it's our duty to add a simple disclaimer: All of this is subject to change. And even if the vote on the Brady Amendment falls in May's favor, there's still a chance that her Continental colleagues will sabotage the thing.